This week Telesat announced it is working with Loon and Blue Origin as it builds its satellite broadband network. Loon, a division of Alphabet best known for its scheme to deliver broadband via drifting balloons, will provide a network operating system to support Telesat’s low earth orbit (LEO) satellite constellation while Blue Origin will launch the bulk of Telesat’s satellites into orbit. Loon will adapt and expand its cloud-based “temporospatial software-defined network (SDN) platform” it uses today to deliver data services over its fleet of stratospheric balloons, according to Telesat’s press release. Under the agreement, Loon will adapt its SDN design to enable Telesat’s satellite constellation to “consistently deliver a fiber-like broadband experience on a global base” to both fixed and mobile terminals. The Loon SDN will be specifically customized for Telesat’s use – which makes sense, because each LEO broadband network is going to be different – giving Telesat the ability to optimize capacity across its flight while minimizing latency and ensuring reliability connectivity to end-users around the globe. The Loon SDN schedules, predicts, controls and optimizes the wireless topology, radio resources, and routing of packets across ground and aerospace segments of non-geostationary networks – with a lot of (literal) moving parts. Since Loon has already worked out an SDN to account for the less-predictable movements of balloons broadcasting WiFi, tailoring Loon’s work to Telesat’s substantially more predictable satellites should be relatively straightforward. Telesat plans to launch an initial 117 Ka-band satellites, but has expansion options to go up to 512 satellites if there’s sufficient demand. 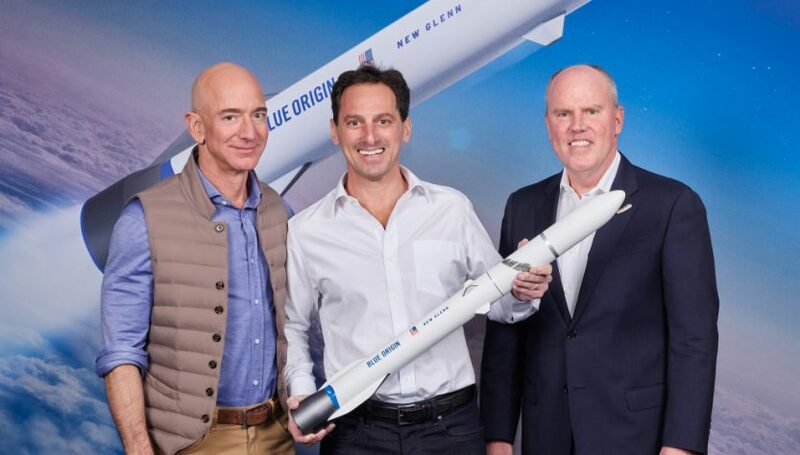 The Canadian-based satellite operator has signed a multi-launch agreement with Blue Origin to put its satellites into orbit. Telesat and Blue Origin have established a strong working relationship, according to another press release sent out this week, and will “collaborate on a range of technical activities to assure cost and performance objectives are achieved throughout the multi-launch program” – in other words, Telesat and Blue Origin will work together to make sure the satellites are successfully delivered to orbit at a price Telesat wants. Blue Origin’s New Glenn will be the launch vehicle used for the Telesat launches. The New Glenn is an all-new reusable heavy lift vehicle with a 7 meter faring – big enough to tuck in a lot of satellites onto one launch. It can put up to 45 tons into LEO. First flight for New Glenn is expected sometime in 2021 from Launch Complex 36 at Cape Canaveral Air Force Station in Florida. Telesat’s press activities come at a time where other broadband satellite ventures are raising their profiles. OneWeb has ramped up its media activities on an anticipated launch of six satellites this spring while enterprise-focused LeoSat is starting to make the rounds at industry events to build reseller partnerships.